We are proud to present and share our unique and revolutionary business model. ComplexCity Spa is a company that is based on the belief that clients’ needs are of the utmost importance. ComplexCity Spa created a skin care business that offers all of the services necessary to fend off the aging process, each allowing customers to de-stress or beautify, as they remove years from their appearance. The Complexcity model takes it a bit further, providing state of the art technology and the latest laser and non-invasive treatments to get great skin without surgery. We are proud to present the most innovative range of skin care treatments for all skin conditions. We Provide support and training before and after you launch your own ComplexCity Spa. Our business model provides a lifestyle with abundance of time and money. 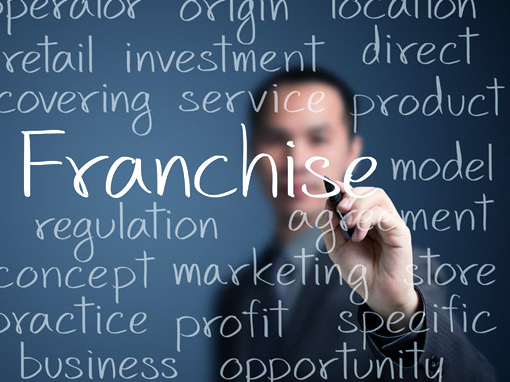 We provide targeted marketing programs for each franchisee to grow the business. Get Access to a Growing Market! The market is growing at an enormous rate with health and stress-related problems facing individuals each year. Complexcity offers a non-invasive way for its clients to improve appearance and any other discomfort in a welcoming and nurturing environment. The concept fits the needs of many different types of people and demographics, allowing for a wide range of ideal locations that could fit the ComplexCity Spa business model. The mission of Complexcity is to make our clients feel and look their best, while maintaining the highest level of integrity and standards. Our prime focus is not only to provide the customers with beautiful and glowing skin but also to consider the crucial health of the skin as well. Unlike other skin enhancement centers, we are not surgical-based. We focus strongly on state of the art treatment combinations that was specifically developed to improve different skin problems. Initial training to launch your business. Access to Sales and Marketing Meterials. Access to Training Manuals and Programs. Ongoing training for you and your staff. With ComplexCity Spa, you can start your own business in a constantly expanding market by taking advantage of our streamlined franchise opportunity. The following is a chart that showcases the initial investment needed to open your own franchise including costs on the low and high ends. How much of an investment is needed? The owner/operator for a ComplexCity Spa franchise must be personable and have some prior managerial experience. A franchisee must be a “people person” who is outgoing and can bond with the customer base to establish credibility and trust within their community. I don't know much about running a business, how will you help? We will guide you through the process every step of the way. Once I sign the franchise papers, how long before I can start? The average is around 6 months to open for business from the time of the signing. 2. Introduction to the ComplexCity concept. 3. Discovery day at a location. 4. Joining the ComplexCity family. 5. Beginning your own ComplexCity Spa business. Are you interested in opening up a license with ComplexCity ? If you’re not sure whether it’s worth taking the plunge or not, there are some important things you should know in advance. is all about helping people improve their overall appearance while giving them the confidence in themselves that they may have lacked beforehand. The professionals who work at the are all about enhancing beauty, giving people that youthful glow they want to have, reducing those signs of aging, and making improvements in tons of different ways. The beauty industry is the kind of industry you may want to get involved in for several reasons. It’s something you may be passionate about, especially if you’ve undergone several beauty enhancement procedures in the past to boost your own confidence. 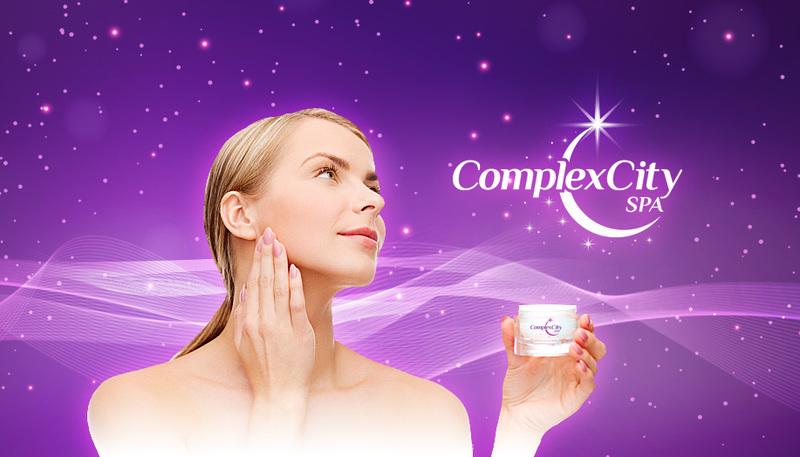 ComplexCity offers various non-invasive treatments to clients that would enhance their features without a lengthy healing time. The clients can get what they want without worrying about dealing with a lot of down time or stress. Many of the skin care services are provided to clients to help them with some of the different concerns they may have. If you were to become the owner of a ComplexCity, you’d be able to provide numerous services that are often in demand, such as laser hair removal, permanent makeup, cellulite treatments, and skin tightening treatments. These are all different services that allow the clients to take control of their appearance and have improvements made where they see fit. Some of the clients are tired of dealing with an excessive amount of body hair. They may want to rid themselves of that body hair by undergoing several laser hair removal treatments. Other clients may be interested in permanent makeup because it’ll save them some time and money spent on various beauty products. Different people have different preferences when it comes to the things they’d like to have done. There will always be people who care about their appearance and want to enhance their looks. It’s for that very reason the beauty industry is worth getting into. You’ll have many opportunities available to you and you’ll be able to say up-to-date on the latest treatments so that you’re offering the best of everything to the clients who come into the for different treatments. ComplexCity wants to help you make the most of this business venture. Now that you know what ComplexCity is all about, you may be ready and willing to become the owner of a . There are some important steps you’ll need to take to get this process started. It all begins with doing more research to find out about each of the different services offered at ComplexCity . You should make sure you are familiar with each of these different services and comfortable enough to offer them to the clients. Get in touch with the professionals. Don’t be afraid to ask them some important questions before getting involved in something that’s so significant. There are a lot of questions you may want to ask about becoming the owner of a and working with various clients who are interested in boosting their confidence by improving their appearance. Compose a list of questions ahead of time so that you’re prepared and can easily get the answers to anything you’d like to know. -What types of services are provided? -How much can I expect to make during the first year of business? -Will support be available at all times? -How long does it typically take to get started after being approved for the? Along with these questions, you may have some of your own questions you’d like to ask. It doesn’t hurt to ask as much as you want to. You need to make sure this is something you’d truly like to do before you officially go through with the next important steps. After asking important questions and receiving information on the opportunity, you may want to fill out a form with your information so that someone can quickly get in touch with you. A team of professional managers may reach out to you to discuss the opportunity and all it entails. You’ll get to learn a lot more about how things work over at . It’s important for you to know all this information if you’re planning to run a successful and profitable in the near future. The next step involves completing the application process and finding out if you’re approved. If you do get approved, you’ll then be able to get started with the process of finding an ideal location for the business and getting everything you need to have before officially opening the doors to clients. You’ll have complete support and assistance from those at ComplexCity because they want you to succeed and do exceptionally well in the beauty industry. If you’d like to start a business in the beauty industry, why not consider becoming the owner of a ComplexCity? There are opportunities available for hardworking and motivated professionals who have a love of all things beauty-related. If you love the idea of helping people gain confidence by providing them with different ways to enhance their natural features and improve their looks, opening a location is a great idea. You’ll need to follow a few essential steps to get started. Although it may seem like a lengthy process, it’s one that’s worth it. If you take the right steps to get the ball rolling, you may soon find yourself making an amazing profit while doing something you enjoy instead of doing something that stresses you out or bores you. If you’re ready to get started, contact ComplexCity today to get more information on operating a business in or around your area.